Warpy washer master kit. 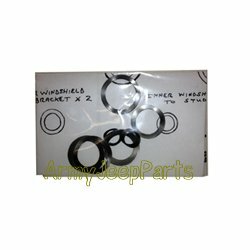 The AJP developed kit includes all washer per original for the body. Includes all related to windshield (including wing bolts), top bow swivels & safety strap swivels.